One of the kings in all of vintage Seiko, the 1965 Seiko 62MAS was genesis for their quite popular modern dive series. The DNA is clearly visible throughout the current range. It was the first serious attempt to appeal to the new dive market, as all previous releases had 50m of resistance. The 150m on offer here put this Seiko in a completely separate bracket. It utilized their 17-jewel 6217 movement with an automatic self-date function, hence 62MAS for short. The Seiko 62MAS had a troubled start. 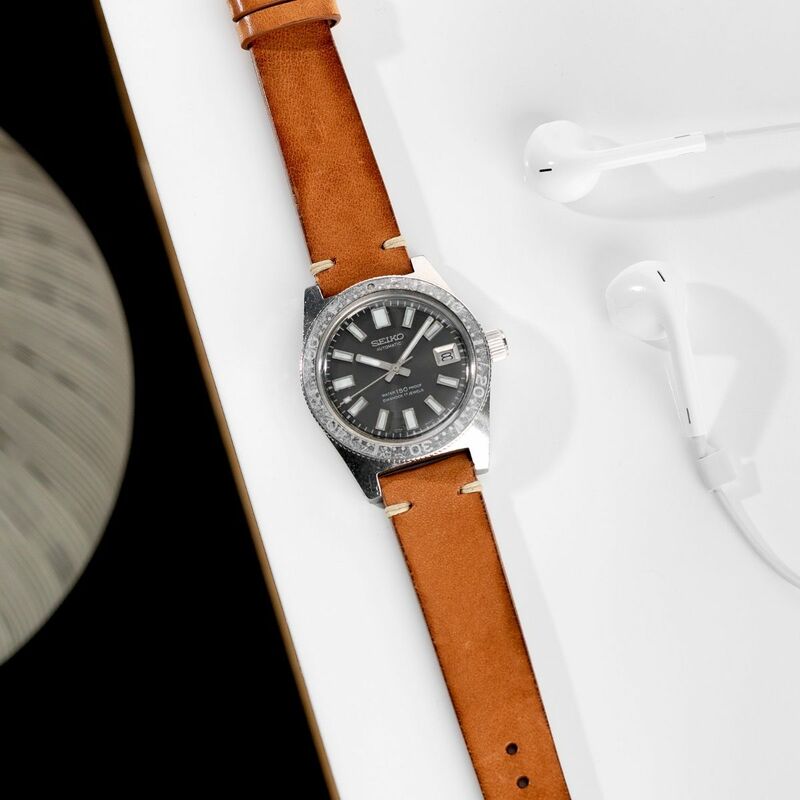 It is the only Seiko diver with an unguarded and pronounced crown at 3 (It is also worth noting that the 8000 reference sports a slightly smaller crown, while this 8001 reference sports a slightly larger). There were problems in that. This design also predated the helium release valve. In conjunction with Seiko’s somewhat unsubstantial gaskets, crystals sometimes burst off the fronts of these while diving. Due to this, they weren’t hugely successful commercial at the outset (unsurprisingly). However, today they are rare, collected, and more attractive than ever. Commonly on these, markers turn greenish, the dial moves greyish, and the bezel ghosts. Outside of the historical credibility, this may be part of the 62MAS’s modern appeal. Case metals were not particularly robust and gave way to polish easily. Not on this unpolished example. This reference 6217-8001 sports a hallmark patina. With the last year’s reissue of the 62MAS from Seiko, this reference has seen an increased limelight; I find this deserved. It’s a great bit of dive history from one of today’s most integral players. Find it here from Buland & Sons for 3200 EUR.